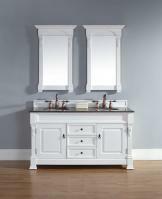 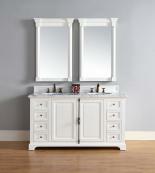 This double sink vanity will bring great styling and functionality to the bathroom. 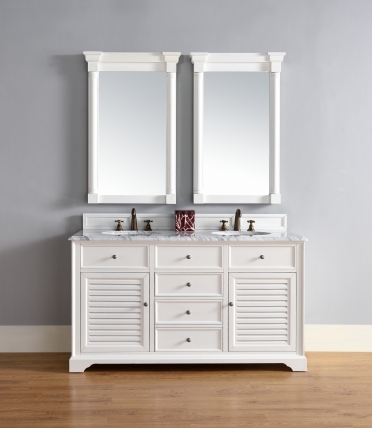 The clean lines of the design have a modern look that is deeply enhanced by the louvered panel inserts on the cabinet doors. 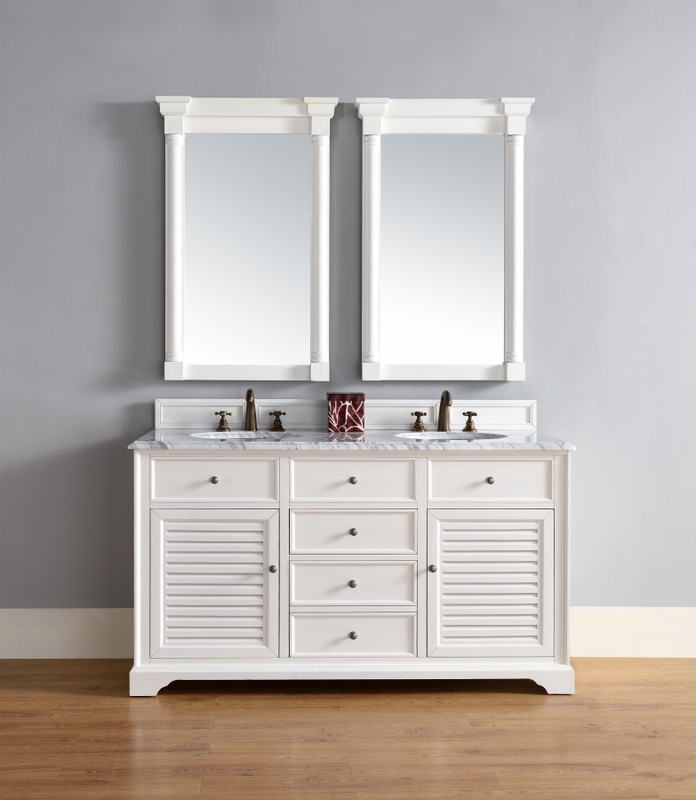 The interior shelves and two drawers provide space to help keep things neatly organized which is always welcomed in a bathroom. 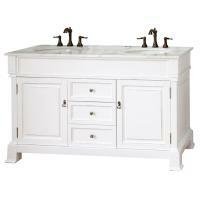 This model has a cottage white tone that is accented by the antique pewter finish of the hardware pulls. 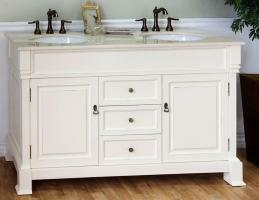 The size of this piece makes it very nice for a shared space.